Great For Under Water Applications! 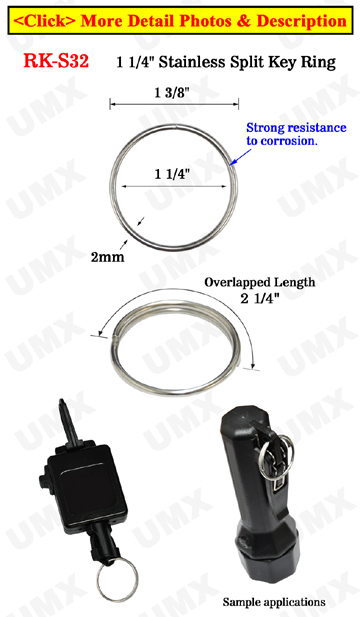 The 1 1/4" stainless split keyring is made of an anti-rust, steel metal. The stainless steel split keyrings are great for your keys, small meters or accessories of which may frequently come in contact with water.